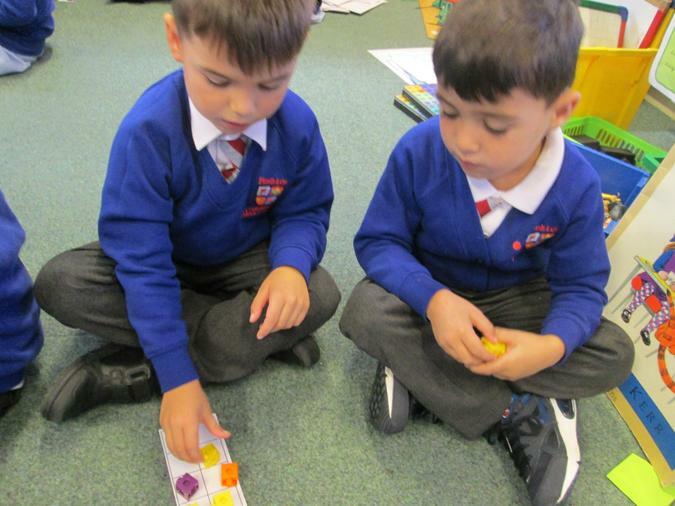 During Summer term children will be developing their understanding of numbers up to 100, number bonds and developing strategies to add and subtract numbers efficiently. 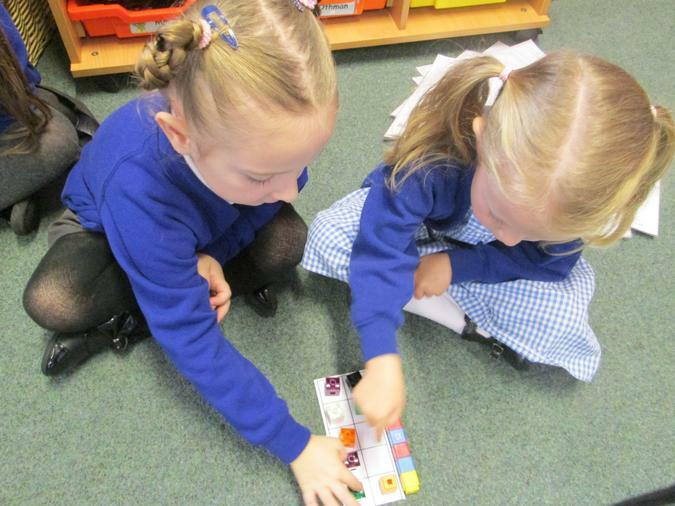 We will continue to deepen the children's number knowledge through problem solving and reasoning skills. 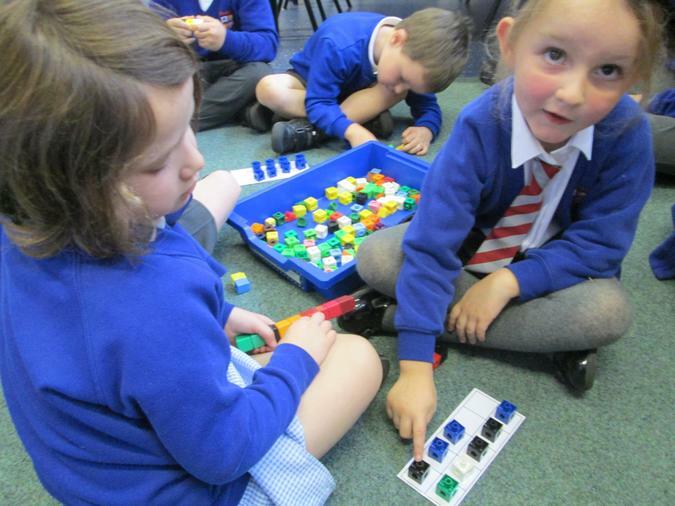 The children will be exploring money. 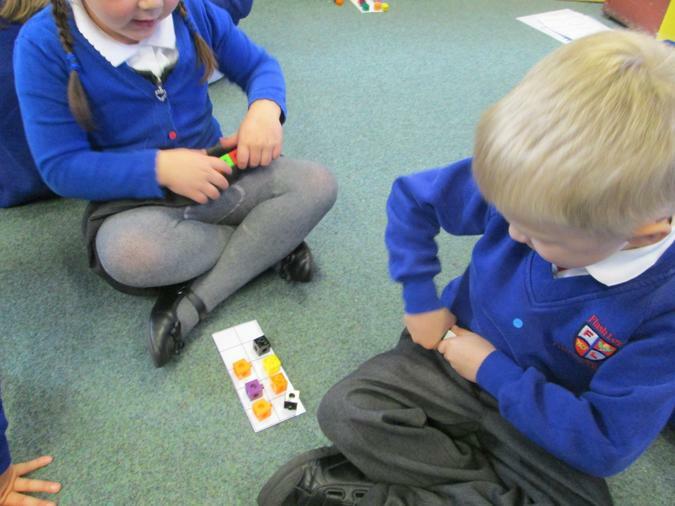 They will be recognising coins and exchanging money for items within the class shop. 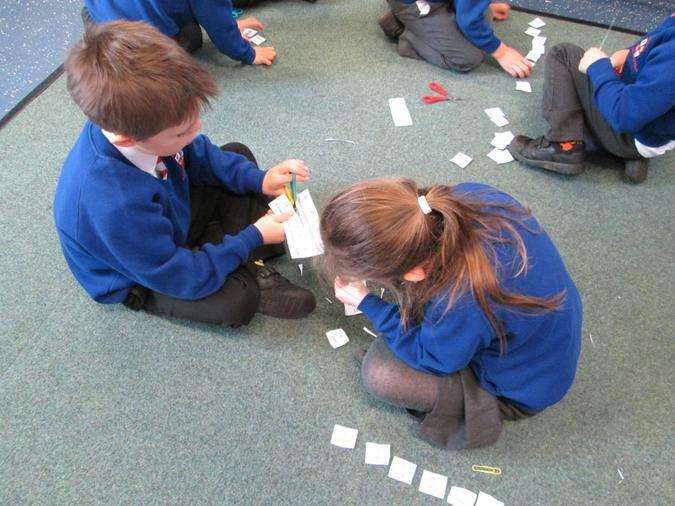 We will be looking at volume and capacity, using non standard measures to compare capacities. 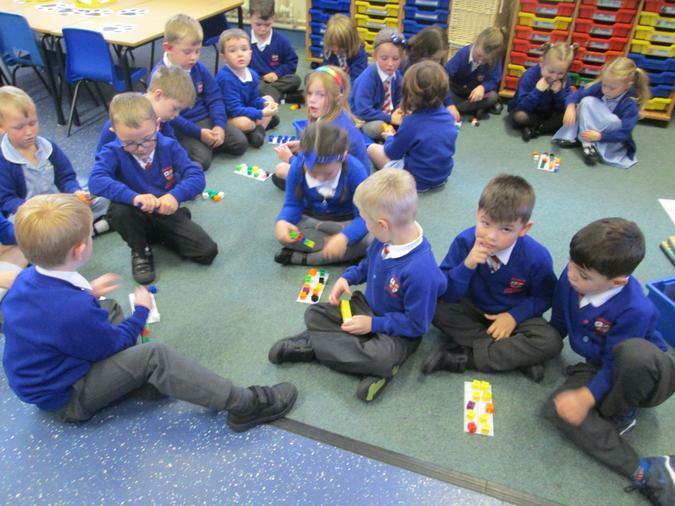 Maths Meetings will continue to take place 3 times a week for half an hour and will cover a variety of Maths objectives to consolidate and secure the children's understanding. 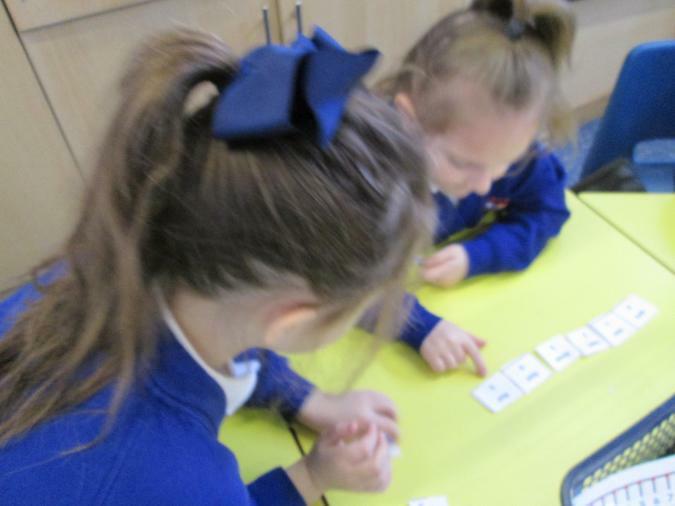 During Spring term children will be developing their understanding of numbers up to 50, number bonds and developing strategies to add and subtract numbers efficiently. 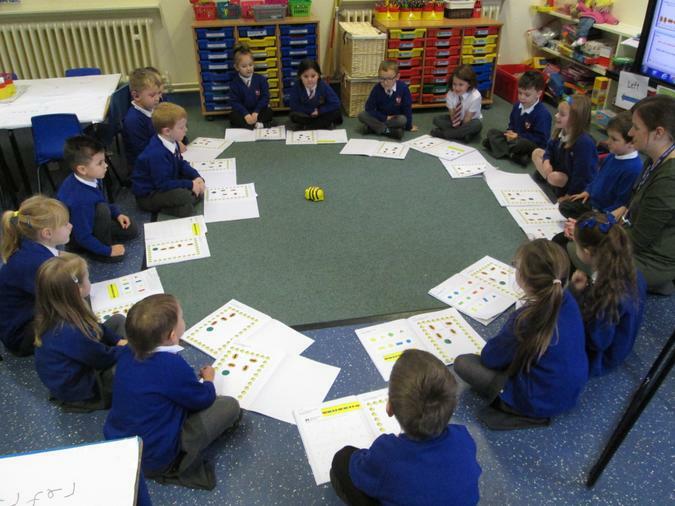 The children will be exploring time by ordering the school day and reading the time to o'clock and half past the hour. 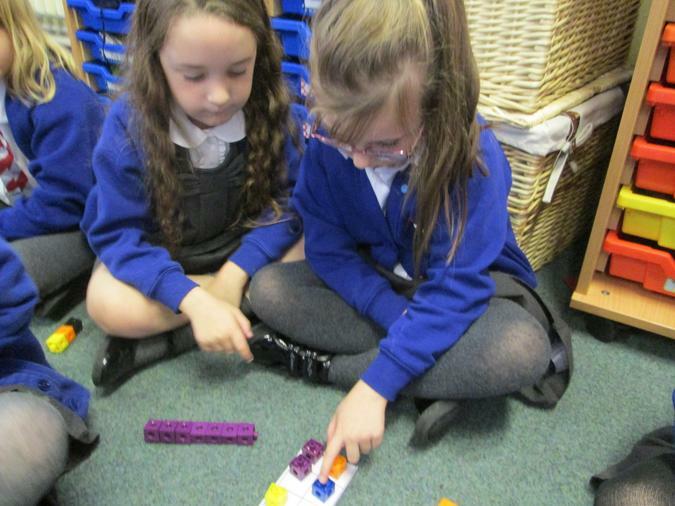 We will be looking at length and measuring objects to the nearest centimetre. 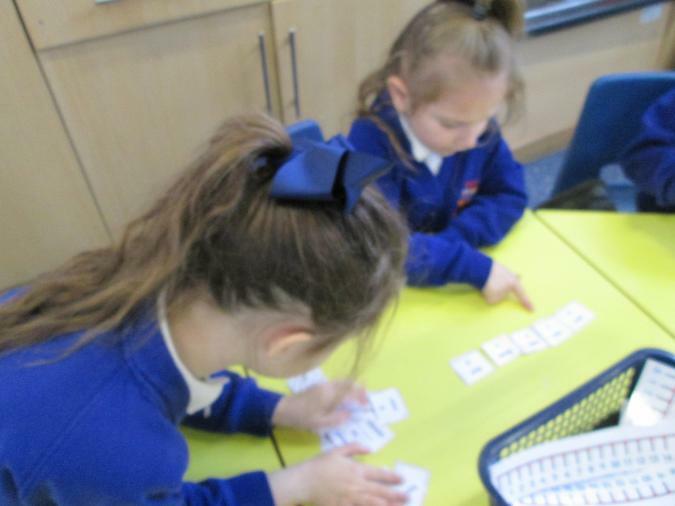 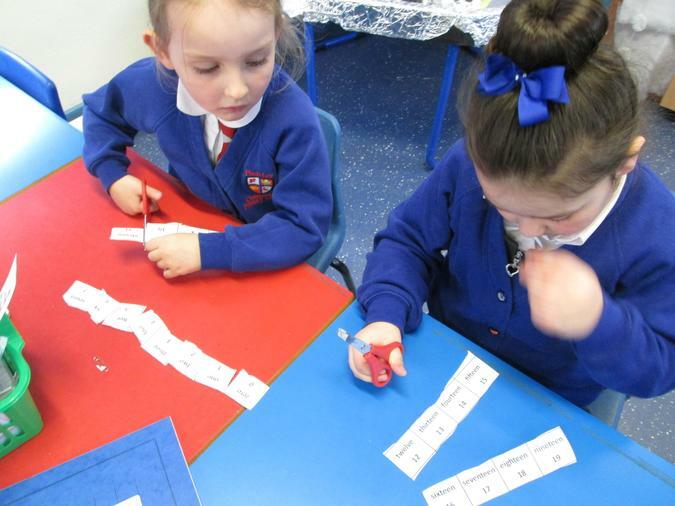 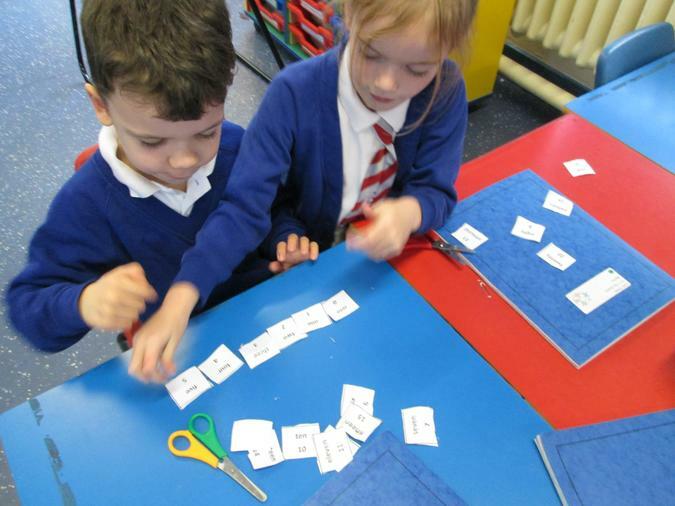 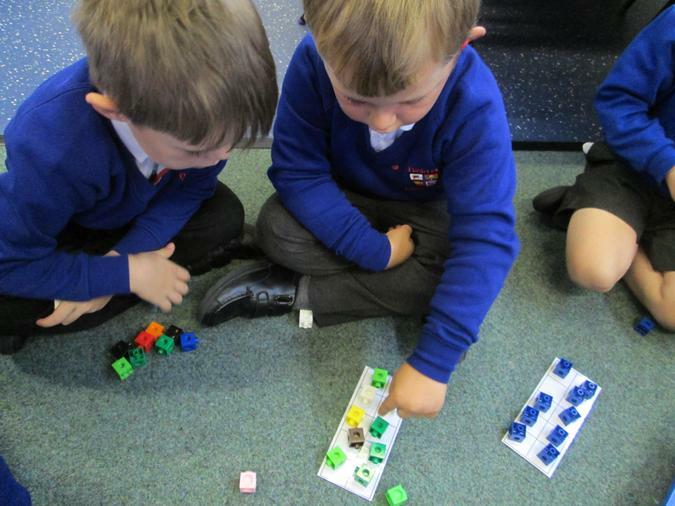 Children will develop their understanding of numbers 0-20, number bonds and place value (counting forwards/backwards/1 more/1 less), doubles and halves and explore the adding and subtracting of 1 digit numbers . 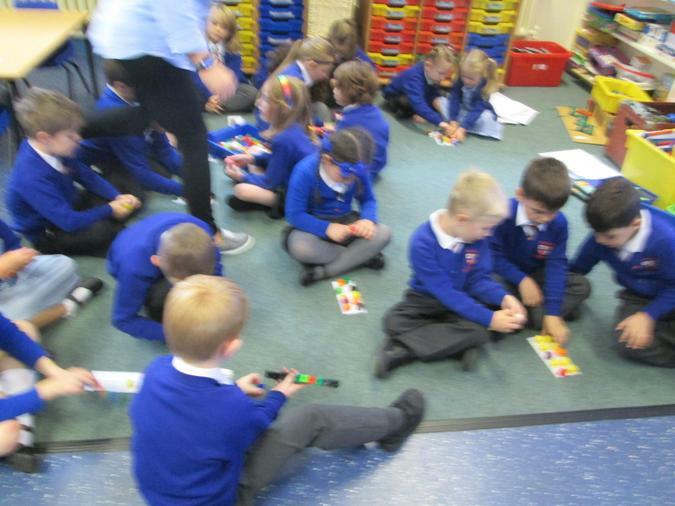 We will also be looking at Geometry: shape and pattern (2D/3D ), estimating and recalling and recording multiplication of the 10, 5 and 2 times table. 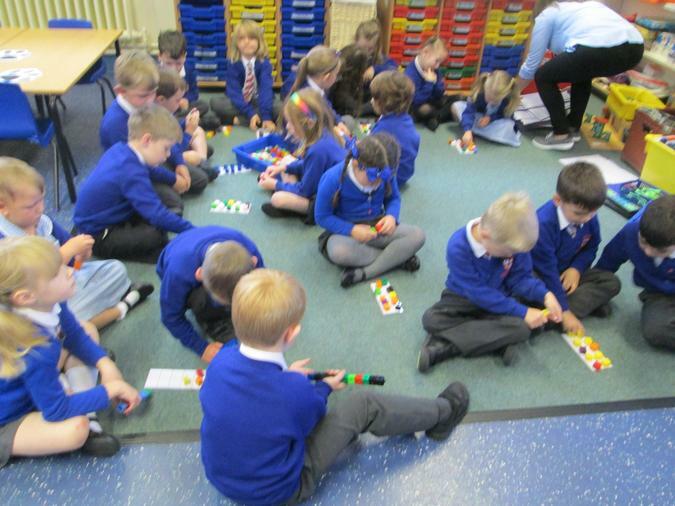 Maths Meetings will continue this year which will take place 3 times a week for half an hour and will cover a variety of Maths objectives to consolidate and secure the children's understanding. 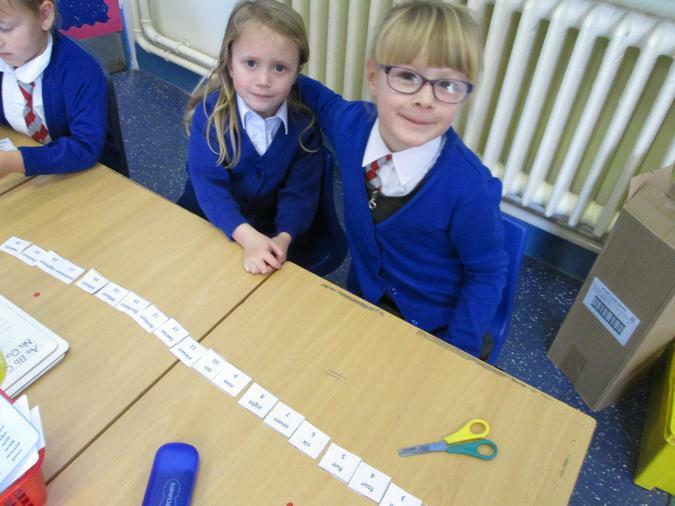 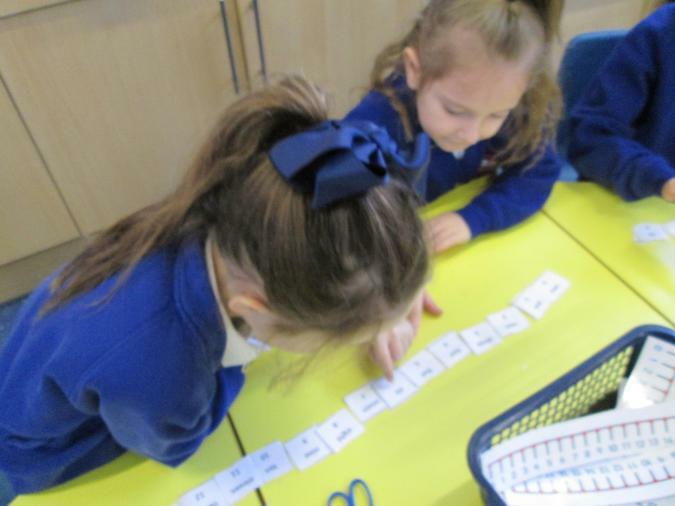 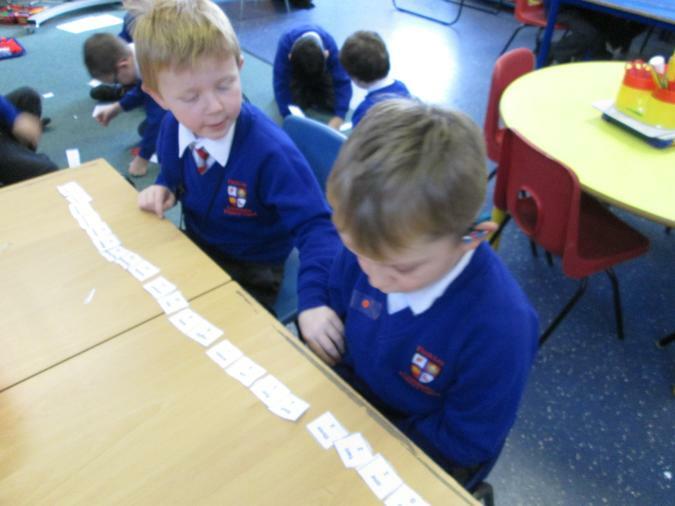 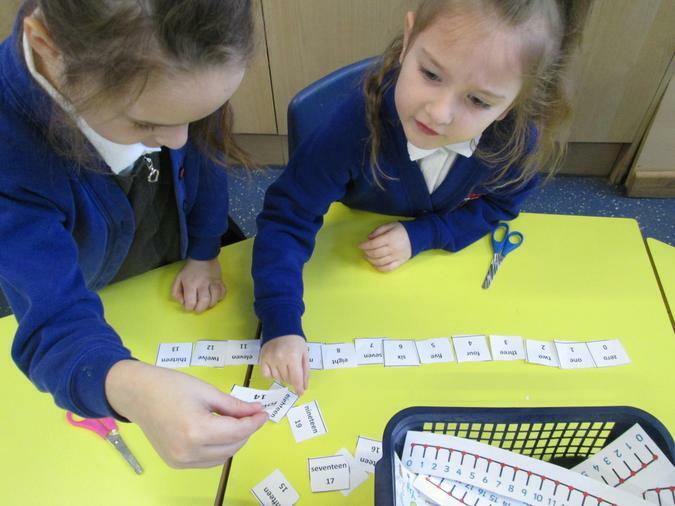 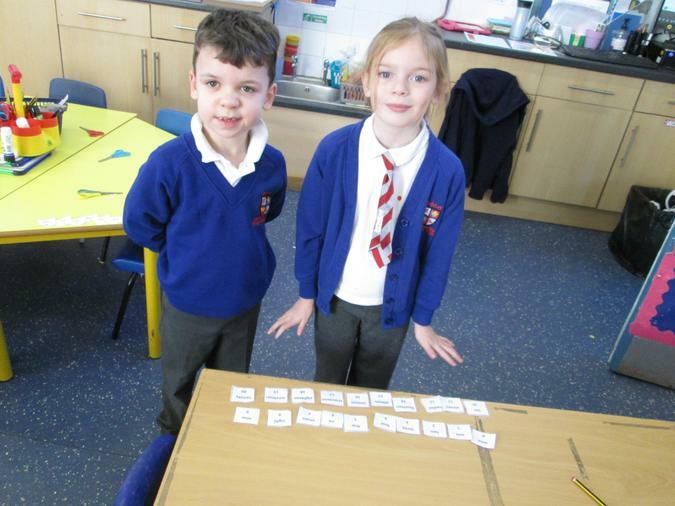 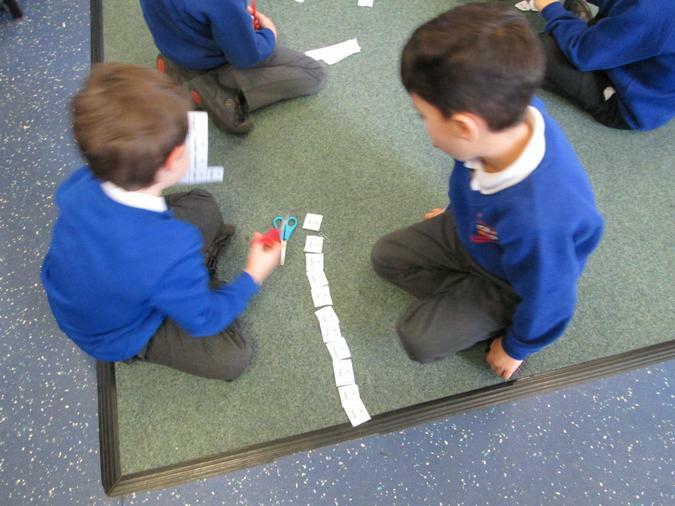 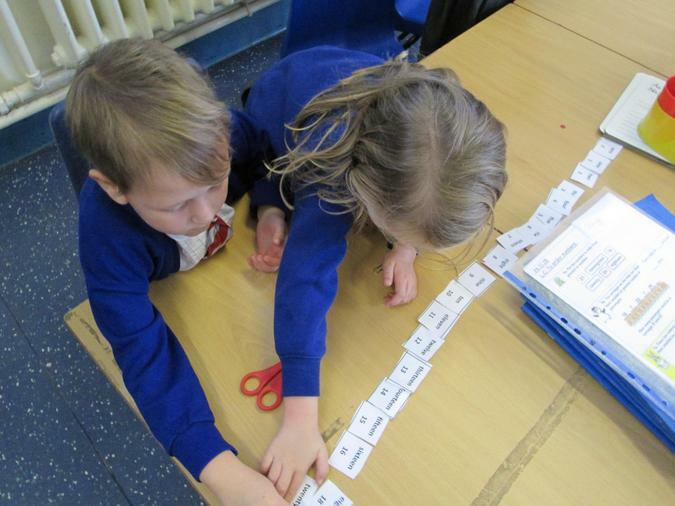 We have worked hard to order our numbers to 20 in words and numerals. 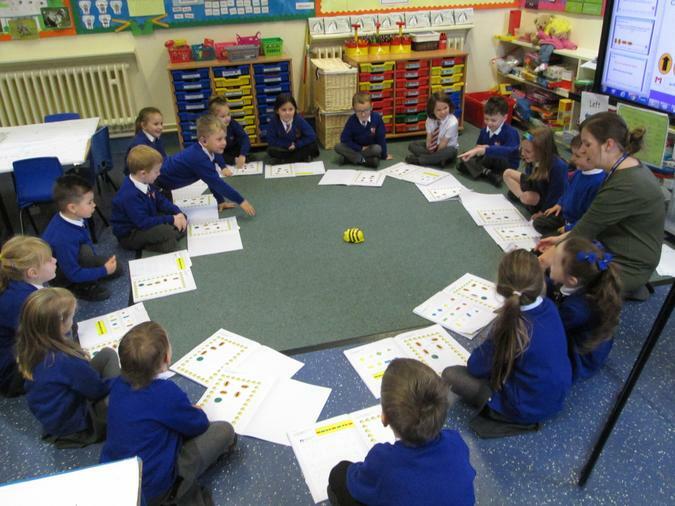 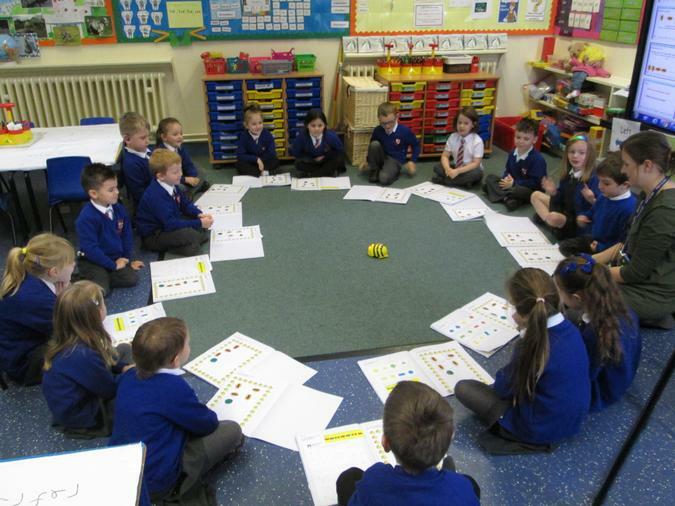 We used the beebots to programme algorithms (a set of instructions) we had created. 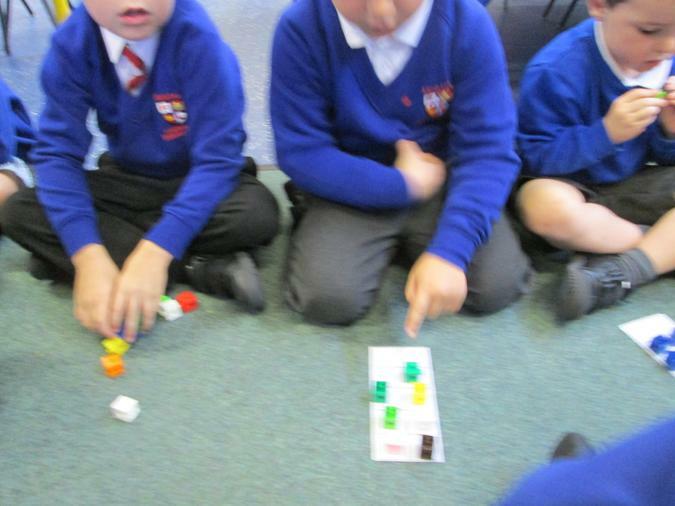 We worked very hard to learn our left and right to get our instructions to work!! 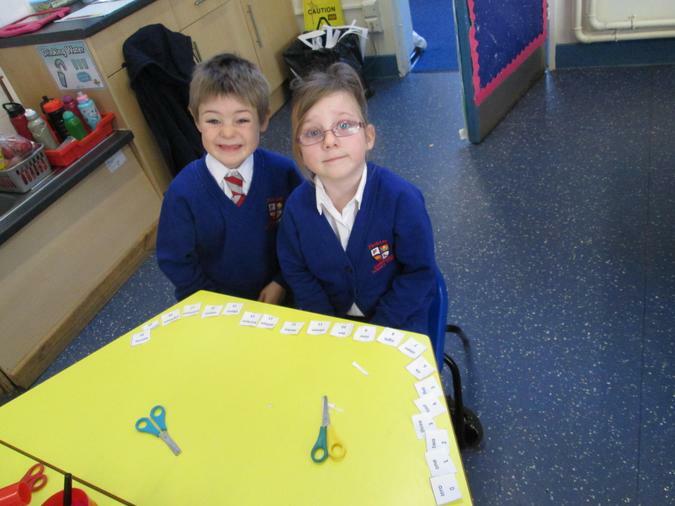 We have been learning our number bonds to 10 to help with our addition and subtraction. 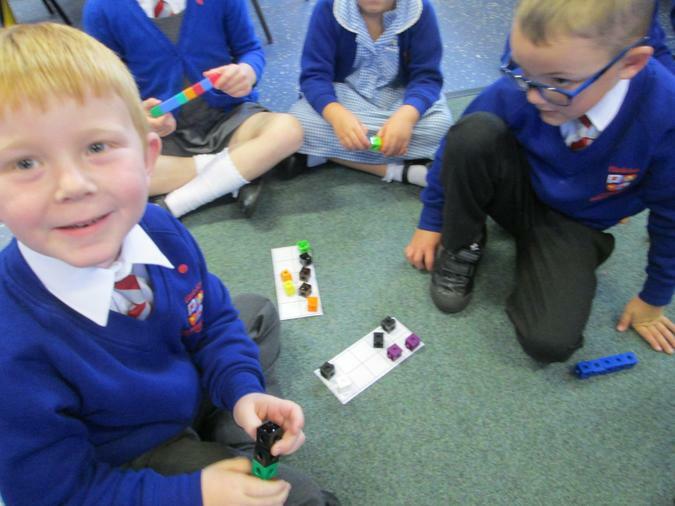 In Maths we are always developing different skills, techniques and problem solving strategies through various practical activities. 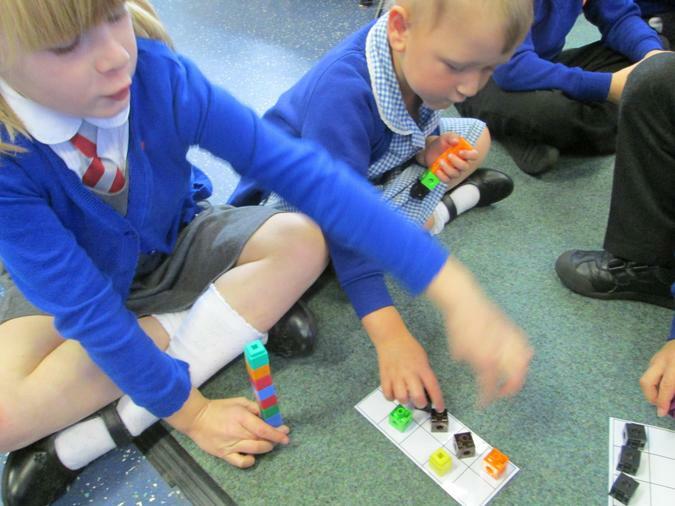 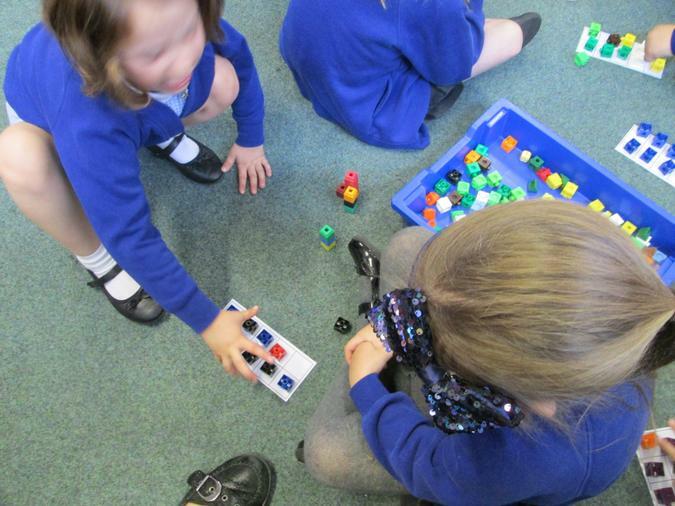 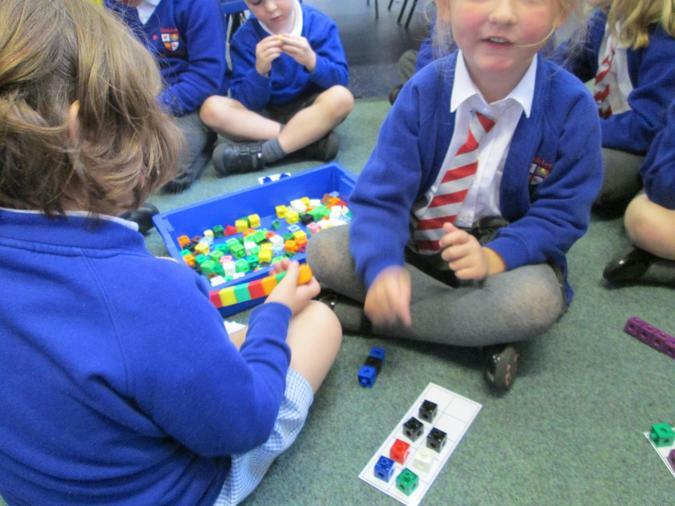 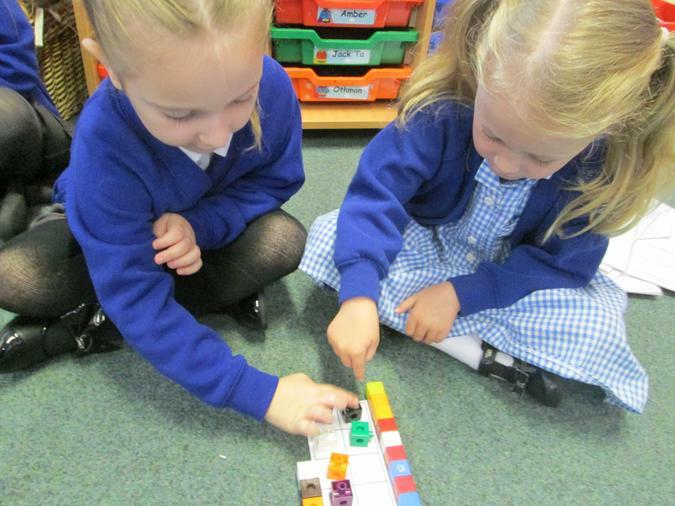 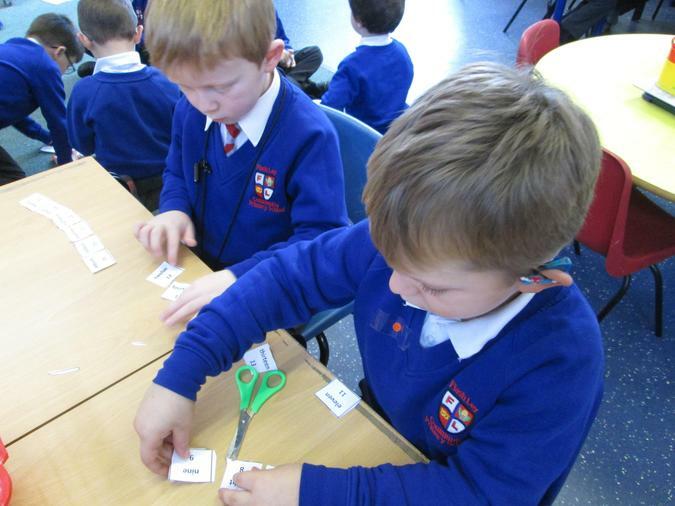 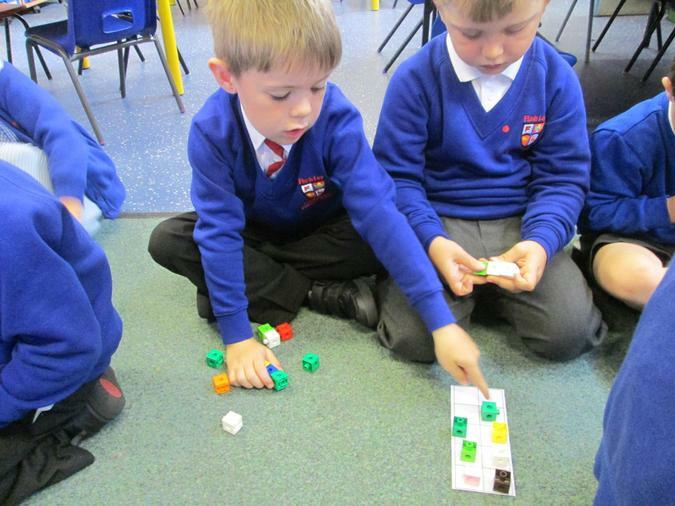 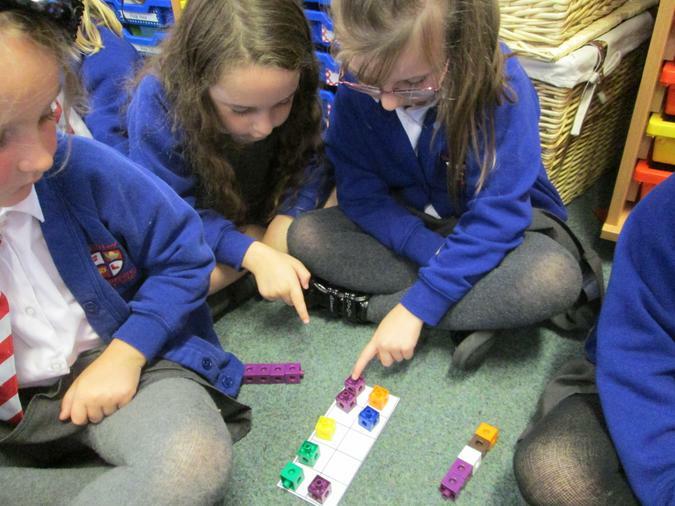 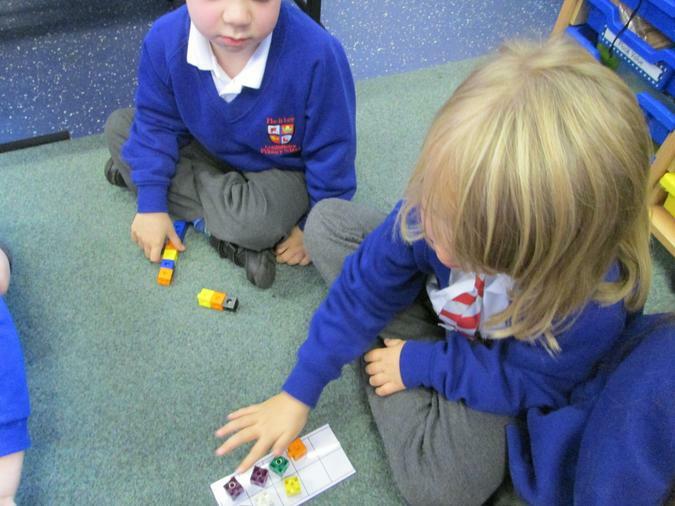 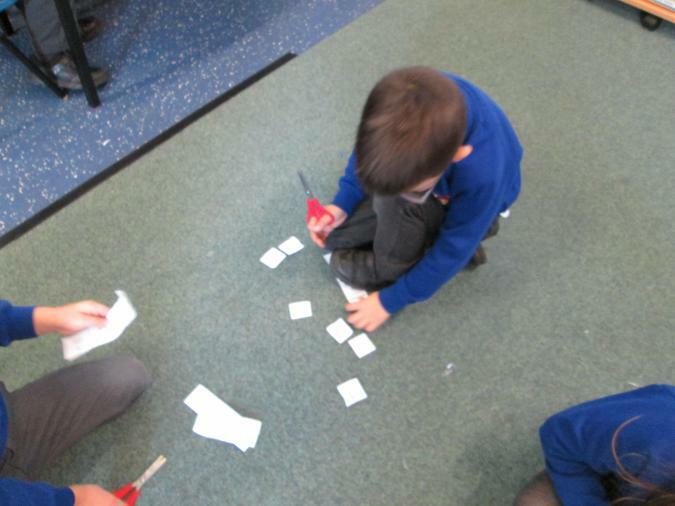 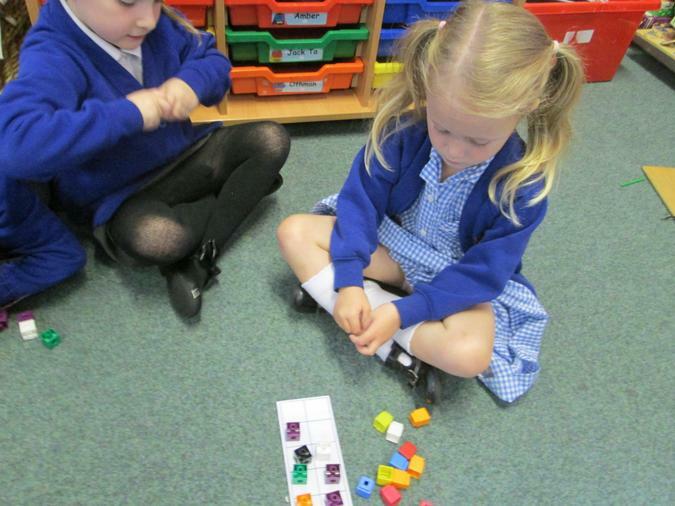 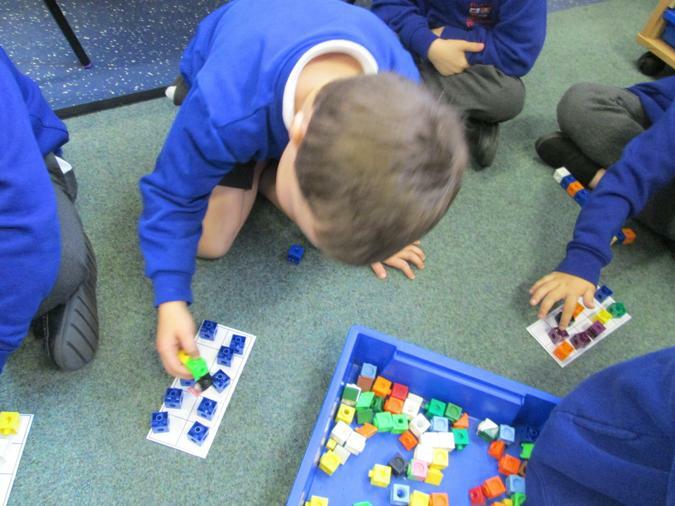 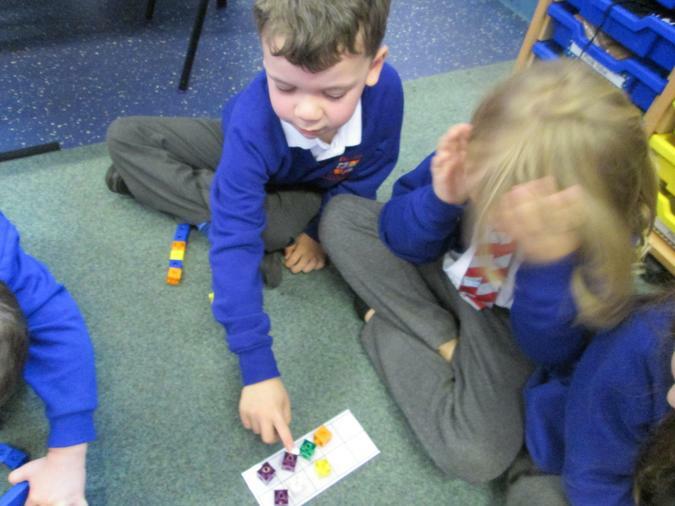 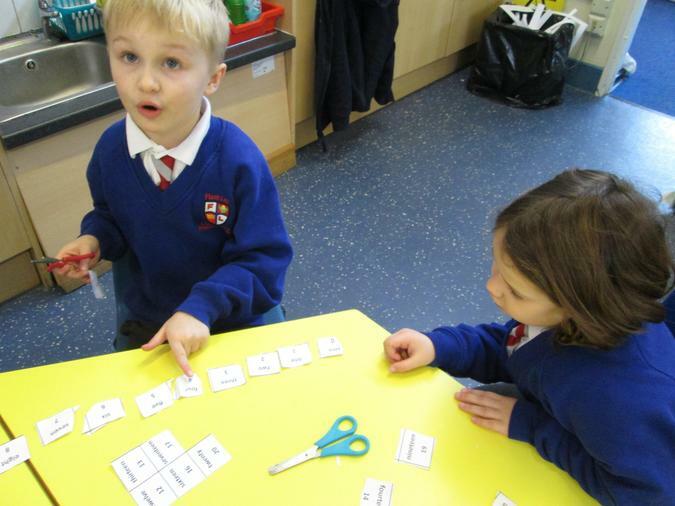 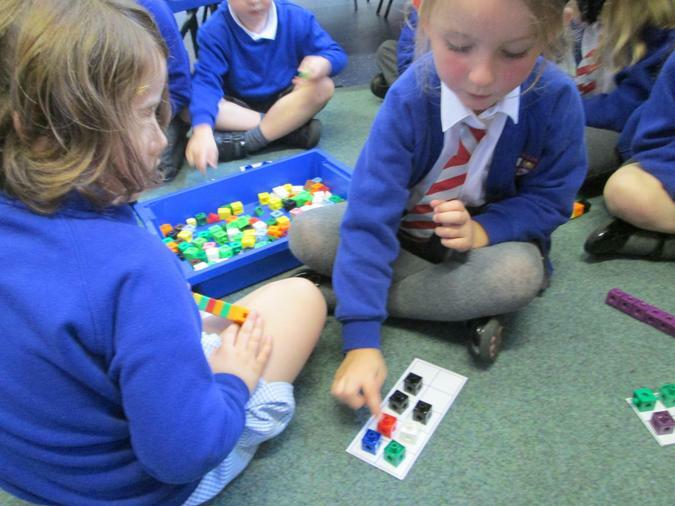 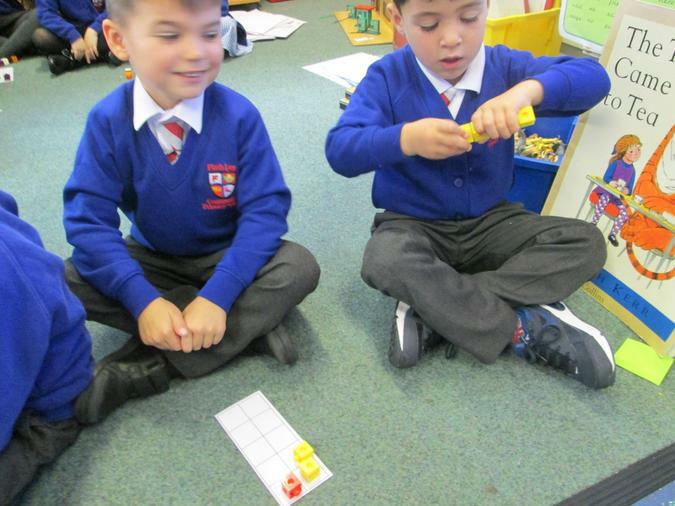 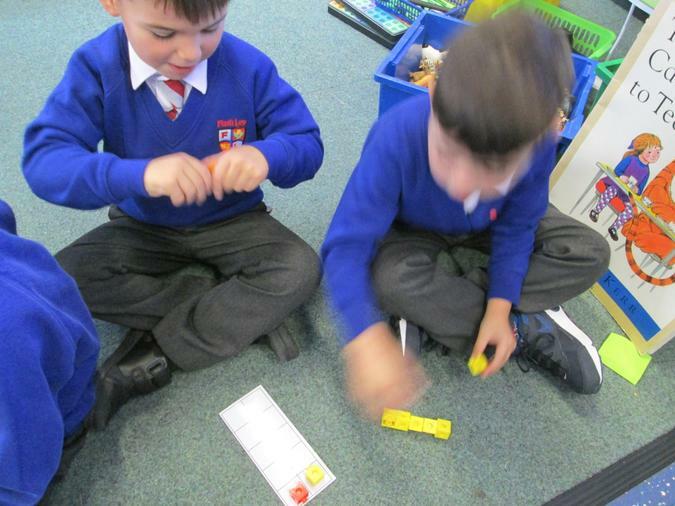 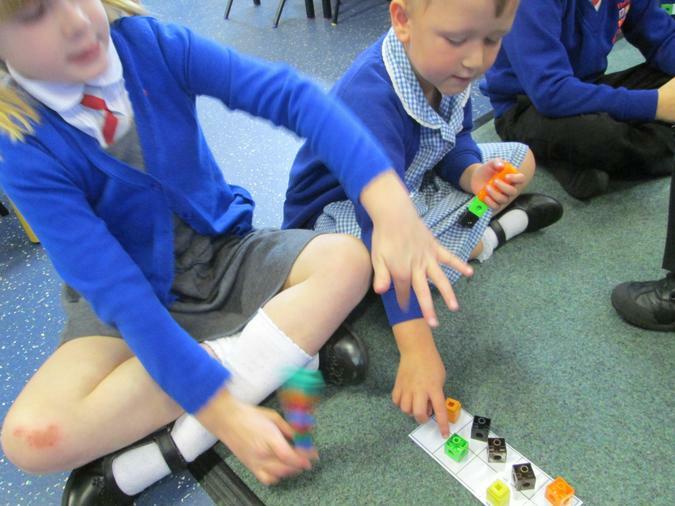 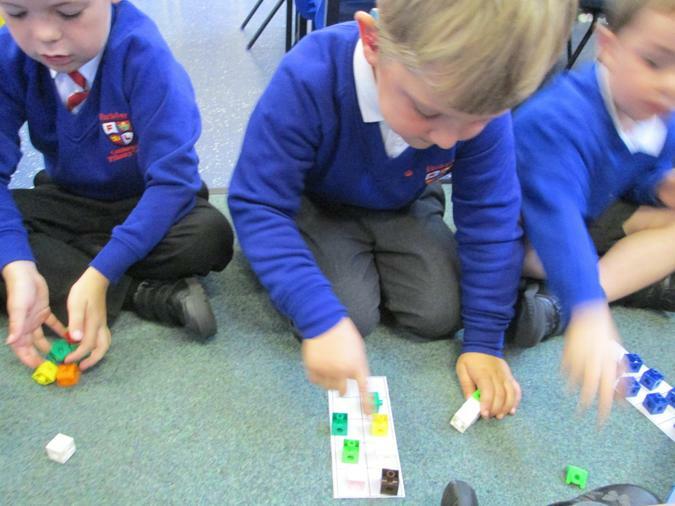 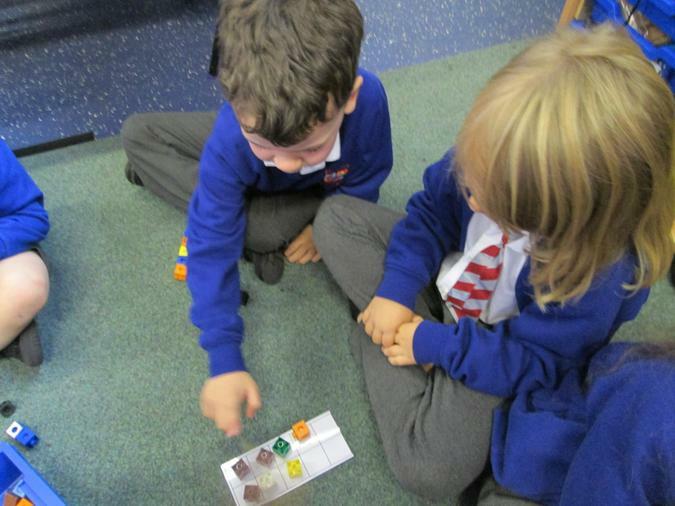 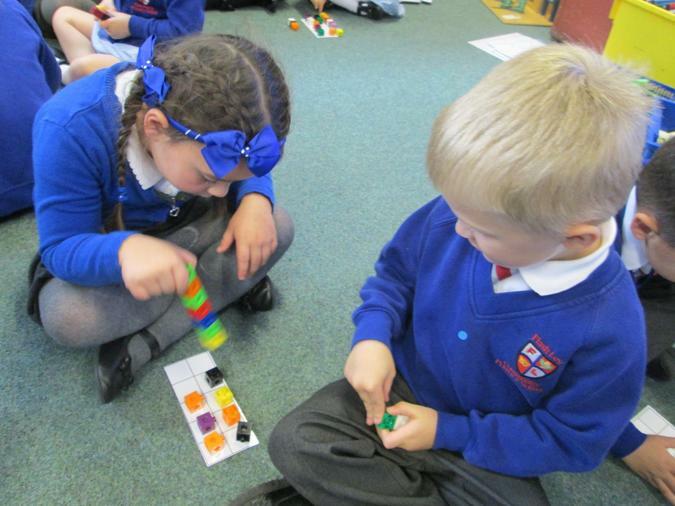 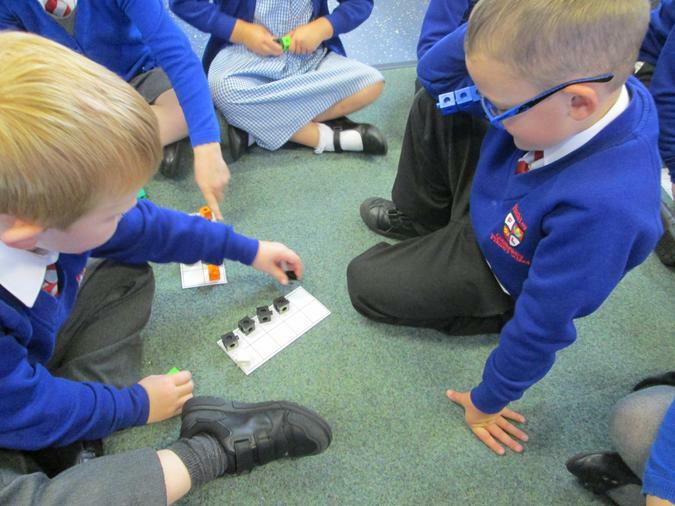 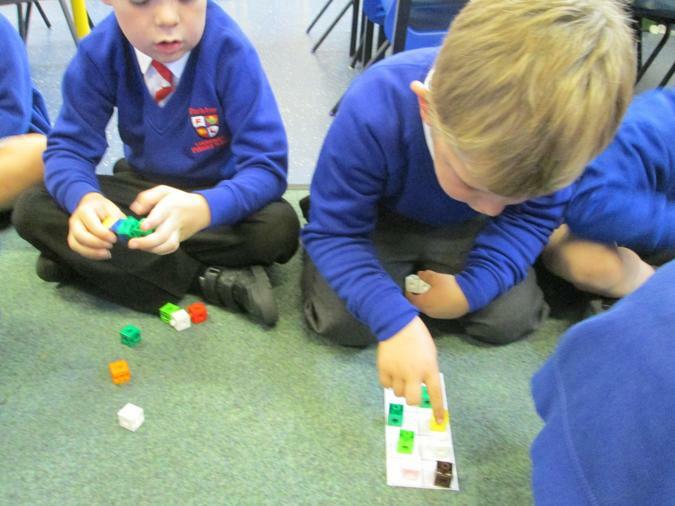 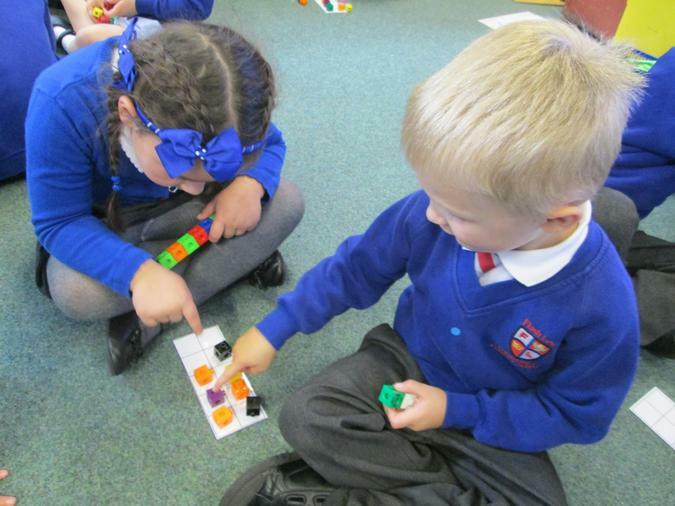 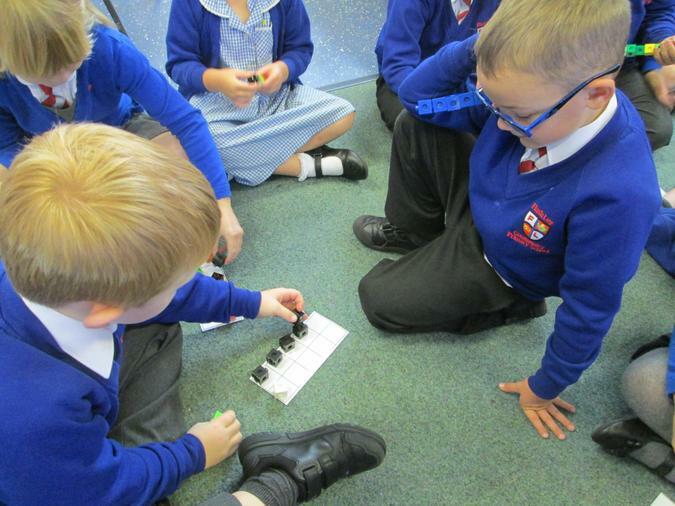 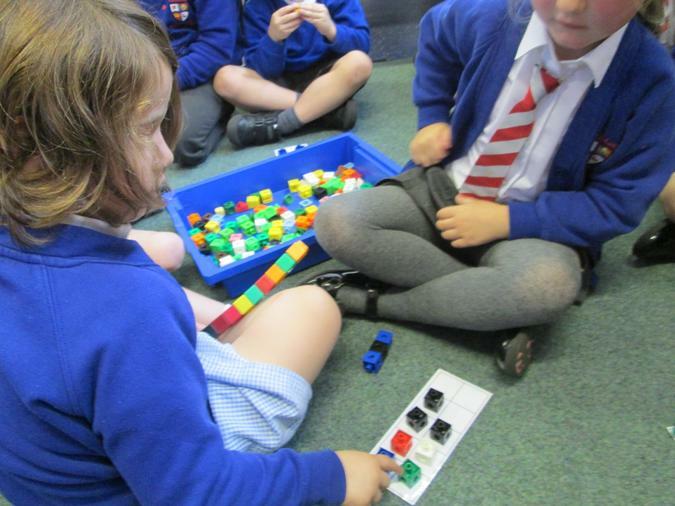 In Year 1 we have been securing our addition and subtraction skills using cubes and objects. 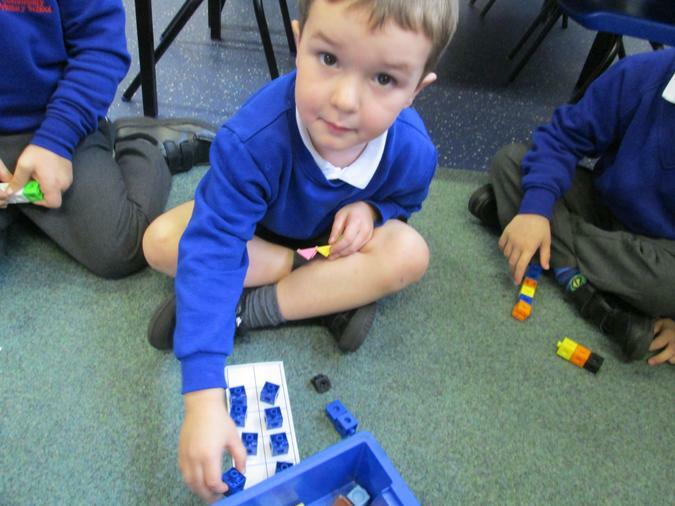 We are getting very good at using the part part whole frame to organise our equations.